Banjos, Fiddles, Brass, Hot Jazz, Loose Men, and Clean Liquor. Tongue in Cheek Jazz Band is Baltimore's premier hot jazz band that honors both tradition and innovation in this classic music. 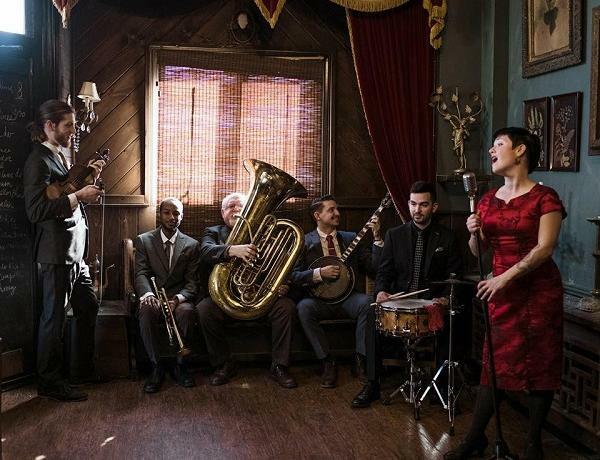 From traditional rag time dances, to Mingus and Monk covers, to the complete Louis Armstrong repertoire, Tongue in Cheek is paving the way for Neo-Traditional American Jazz Music. This band is HOT!